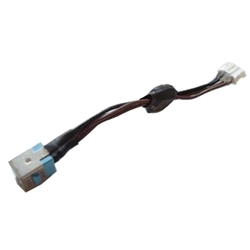 Description: New genuine Acer replacement dc jack & cable. Blue 90 Watt Dc Jack. Does not require any soldering. Part #'s: 50.AHH02.001, 50AHH02001, 50.AJE02.001, 50AJE02001. Acer Aspire 5220, 5220G, 5310, 5310G, 5315, 5315Z, 5320, 5320G, 5520, 5520G, 5710, 5710G, 5710Z, 5715, 5720, 5720G, 5720Z, 5720ZG, 7220, 7220G, 7320, 7520, 7520G, 7720, 7720G, 7720Z, 7720ZG. Acer ICL50, ICW50, JDW50, ICK70, ICY70.